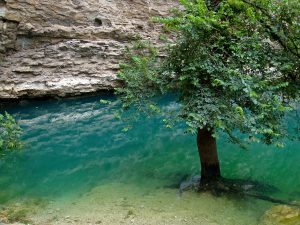 The group of Gainer Springs includes 13 diverse springs which are located around Enconfina Creek below (south) from FL20 road. Nine of these springs (numbered #1A to #1I) are located on a small stream east from Enconfina Creek – the springs themselves create this stream. Some of these springs are smaller, some – larger. The most outstanding: Gainer Spring #1C is named also McCormick Spring and is an impressive 7.5 m wide and up to 3.5 m deep pool with a beautiful fountain of sediments in it. Gainer Spring #2 (Emerald Spring) is the most beautiful. The spring is a crack at the base of some 7 – 8 m tall limestone cliff at the west bank of Enconfina Creek. The spring basin has a diameter of some 9 – 10 m and is up to 3.5 – 4 m deep. 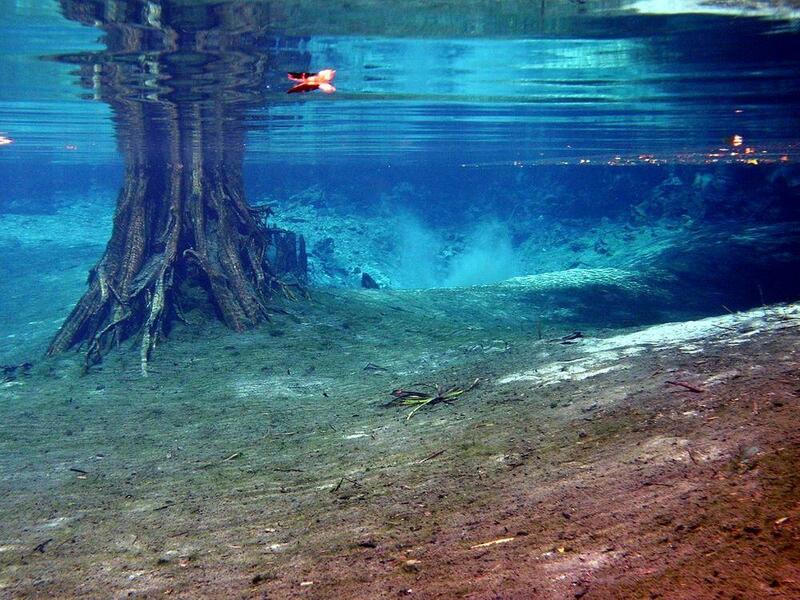 The water has a fantastic blue color and the powerful spring creates a constant boil in the sediments. 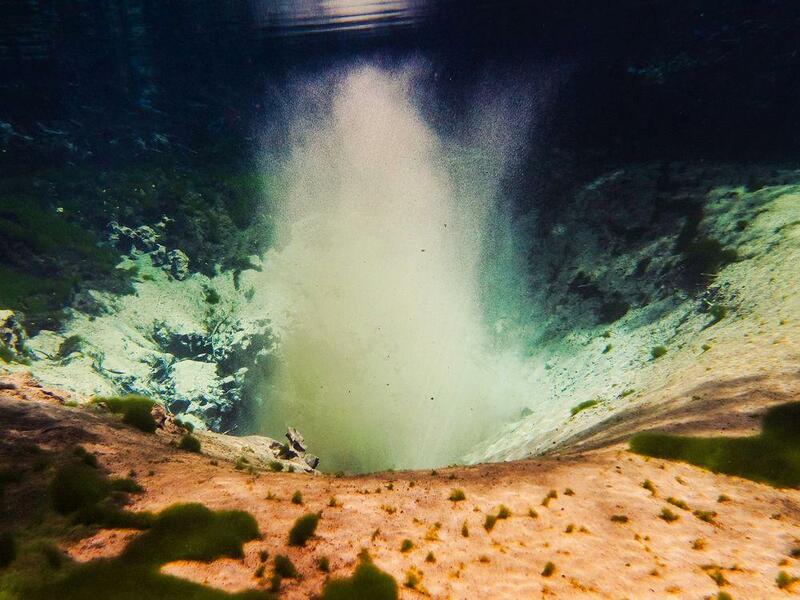 Gainer Spring #3 is the most impressive one – it has a basin with a diameter of some 75 m. On its bottom are several powerful vents with a constant boil of sediments – an eternal fountain of sand and small pieces of shells. Depth up to 3.5 m.
Gainer Spring #4 is the southernmost in this spring group. It flows from the base of some 6 m tall limestone bluff. Gainer Spring #5 is some 50 m south from Emerald Spring. Water comes from the base of a limestone cliff into a shallow pool of spring water. These powerful springs emerge on the border of impermeable Intermediate System and Eocene – Paleocene Floridian Aquifer System under it. Floridian Aquifer System consists of limestone and bears the water – thus the springs gush out from it on the rim of Intermediate System. Springs were known to local Creek, Cherokee and Seminole people who called this place Enconfina – Natural Bridge because in earlier times there was a natural limestone bridge across this stream further to the south from the springs. This natural bridge collapsed in the 19th century together with the road which was built over it. Springs were named after William Gainer – a surveyor of General Andrew Jackson. He noticed this beautiful area during a field trip with Jackson’s army in 1818 when this part of Florida was investigated as a future development area. He returned here and built his home. Gainer built a new bridge in this area after the collapse of a natural bridge. Gainer Springs are located in a private area and owners do not want to see visitors walking through this area. But there is an excellent way to see the springs: with a canoe which can be rented nearby, at FL20 road. Drive through the pristine forest towards these gorgeous, blue springs is rewarding and quite a few visitors take also a bath in springs – the temperature of the water is around 21.6 °C. In fact, there are quite many visitors, especially on weekends. Water around the springs is unusually lucid and the sight of fish and eternal movement of sand at the spring vents is fascinating! Gainer Springs Group. 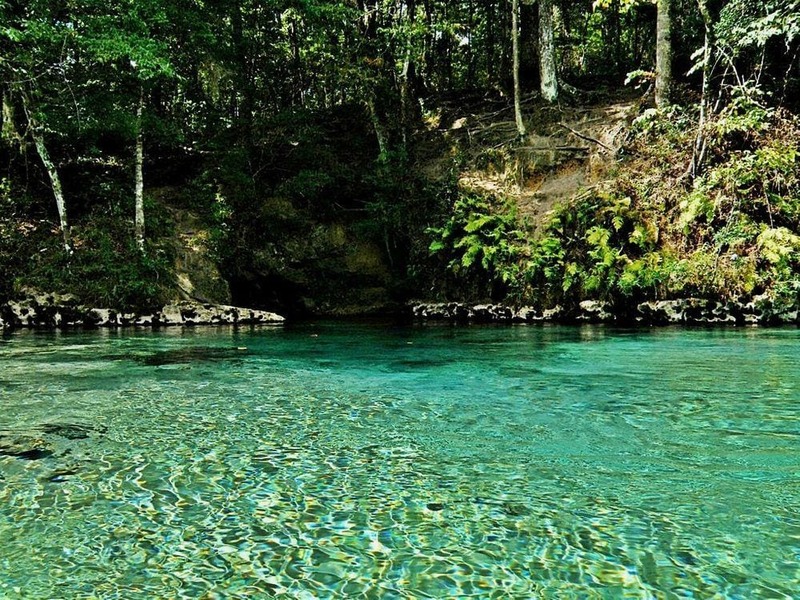 Springs Fever: A Field & Recreation Guide to 500 Florida Springs. Last accessed on 5th April 2019. Kristopher Barrios and Angela Chelette, The Northwest Florida Water Management District. Enconfina Creek Spring Inventory, Washington and Bay Countries, FL. Water Resources Special Report 04-02. Last accessed on 6th April February 2019.
aken from the earlier book Priceless Florida (and modified for a stand-alone book), this volume discusses the fresh- and saltwater systems of Florida, including lakes and ponds; rivers and streams; springs; aquatic caves; estuarine waters and seafloors; submarine meadows, sponge, rock, and reef communities; and the Gulf and Atlantic Ocean. Introduces readers to the trees and plants, insects, mammals, reptiles, and other species that live in Florida’s unique water ecosystems, including chicken turtle, barking treefrogs, osprey, herons, bass, crayfish, conchs, cordgrass, and railroad vine. 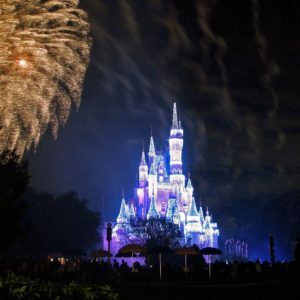 The author started gathering information for this unique guidebook of Florida Springs over 40 years ago. In 1973 Robert F. Burgess began diving and photographing the underwater caves associated with Florida’s labyrinthine freshwater springs long before scuba divers had such things as depth gauges, personal flotation devices, or cave diver training programs. He attributes his survival in what has been called “the world’s most dangerous sport” to the fact that he always stayed within sight of the way out of these underwater sites.